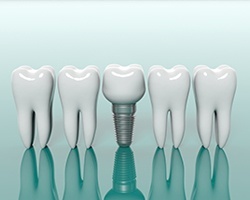 The dental implant tooth replacement process is complex and multi-tiered. 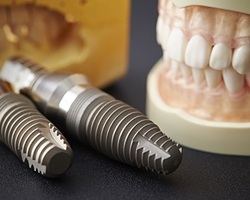 No two treatment plans are exactly the same, but it’s important for patients to understand at the outset exactly what they can expect from their implant supported tooth replacement plan. For this reason, we always begin the tooth replacement process with an extensive examination and treatment planning session. To learn more about the basics of implant supported tooth replacement, keep reading below. When you’re ready to find out more, call Plum Grove Family Dental to schedule an appointment at our dental office in Rolling Meadows. Before we get started with your tooth replacement plan, we’ll sit down for a one on one consultation. During this appointment, we’ll capture diagnostic images, review your health history, and discuss every step of your implant supported tooth replacement process. In many cases, we need to perform one or more preparatory treatments. 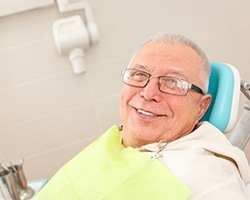 This can include removing damaged teeth or placing a bone or soft tissue graft. Once we’ve reviewed your dental implant restoration plan and completed preparatory treatments, we’ll need to surgically place the dental implant posts. To place the dental implant posts, we will make a small incision in the gums. Then, the implant post is placed into the jawbone. 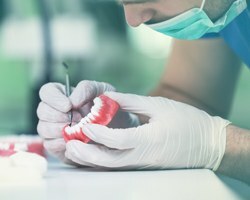 Once we’ve designed your dental crown, bridge, partial, or full denture, our skilled dental lab team will set to work custom crafting the restoration. Once we’ve received the final product from the lab, you’ll come in for the final phase of treatment. We’ll carefully attach your replacement tooth or teeth to the implant posts, recreating your flawless smile. After your dental implant restoration appointment, you can confidently speak, chew, and smile in any personal or professional situation as your brand new smile stays firmly in place. You can even brush your replacement teeth just like you would a natural smile, so there’s no added hassle of changing your oral hygiene routine.